The easy way to deliver essential training online. CourseKit is a suite of fully customisable, essential online training courses and eLearning templates. Each CourseKit is packed with engaging content and assessments that are ready to use, or can be customised to meet your exact requirements. Simply purchase, download and launch. We have a suite of essential training courses in key topic areas ranging from Health and Safety, Manual Handing to Equality and Diversity, with many more in between. Keep in the loop. Stay up to date with the latest from CourseKit. Download the CourseKit source files and edit as little or as much as you want in the authoring tool. You can add your own company branding, upload your own resources and add new screens to further enhance your course. We also offer training if needed. Want a customised CourseKit but pushed for time or know-how. We can make any required changes for you. Let us know what you need and your tailored CourseKit will be winging its way to you. 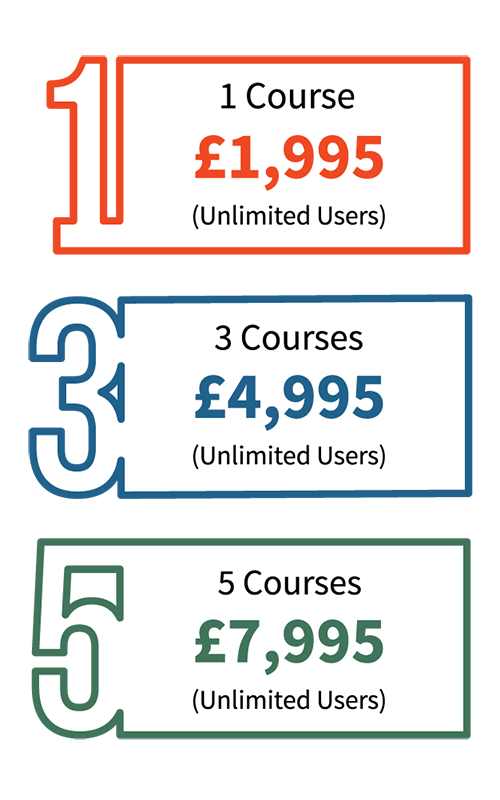 Whether you want just one course, a bundle or the entire suite, CourseKit is a cost effective way to deliver essential training. No subscriptions, user fees or annual licenses - just a one-off cost. Once purchased, we will provide you with the published files plus the source files, so each course is yours to own. Each CourseKit is fully 1.2 and 2004 compatible and ready to deploy on your learning management system or learning platform to track and report. Don’t have a learning management system and want to track a report on your training? We’re on hand to listen and advise on the best way to do this. Make a call. Request a demo. 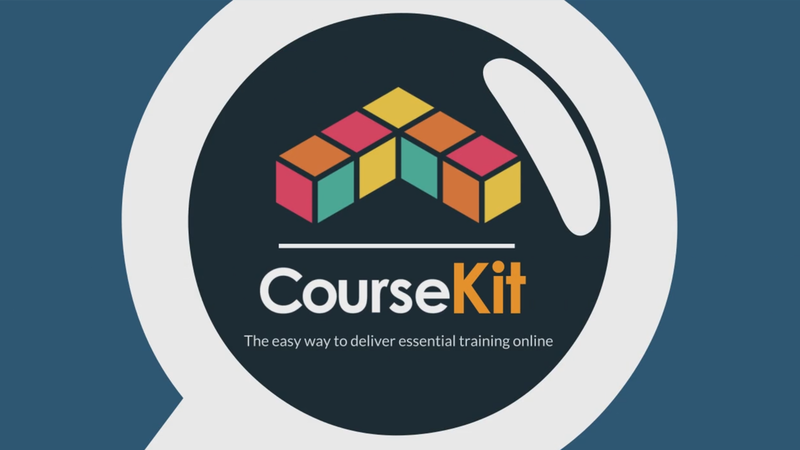 CourseKit is a suite of fully customisable, essential online training courses. CourseKit is designed and developed by elearning experts, Aurion Learning, to provide a new standard of learning, bridging the gap between custom and off-the-shelf content. 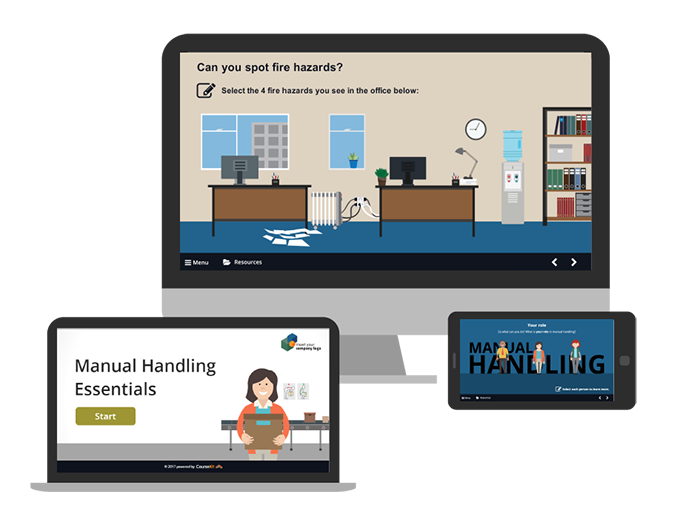 We want to make it easy for organisations to deliver online training that’s affordable, easy to maintain and update, and, most importantly, provide a great learning experience. The term ‘CourseKit’ or ‘us’ or ‘we’ refers to [Aurion Learning] a company registered in Northern Ireland under company number NI038127 with a registered office at 475 Ormeau Road, Belfast, Northern Ireland being the owner of the site. Aurion Learning CourseKit is committed to maintaining the trust and confidence of our visitors to our website, and our email subscribers. Here you’ll find information on how we collect, store and treat personal information and data, including when we’ll contact you. When you visit our website, you have the option to give us personal information. When you contact us or sign up for anything, we may ask for your name, phone number, job title, email address, and organisation. Without this information, we would be unable to process your request to contact you. Personal data may also be used for other purposes which could include: processing document downloads or registering for an event. When contacting us, you will be asked to opt-in to be kept informed by email. You have the opportunity to unsubscribe anytime. This information will be stored on our CRM system, SalesForce. This information is not shared with any third party organisation. We will contact you for marketing purposes for reasons of legitimate interest. You have the opportunity to unsubscribe anytime. CourseKit contains links to other websites for convenience and information. We accept no responsibility or liability for the products, services or information contained on any such site. The existence of a link to another website does not imply or express endorsement of its provider, product or services by CourseKit. We will ensure that all personal information supplied is held securely and is treated with the highest level of confidentiality. We keep our privacy notice under regular review, complying with the current General Data Protection Regulation (GDPR) standards. Google Analytics uses 'cookies', which are text files placed on your computer. The information generated by the cookie about your use of the website is transmitted to Google. This information is then used by us to evaluate visitors’ use of the website to improve its navigation. We also use session cookies. These cookies allow website operators to link the actions of a user during a browser session. Session cookies are created temporarily. Once you close a browser, all session cookies are deleted. Third party cookies: If you choose to ‘share’ content through Facebook, Twitter or other social networks you might be sent cookies from these websites. These cookies allow third parties to track the success of their application or customise the application for you. Because of how cookies work, we cannot access these cookies, nor can the third parties access the data in the cookies used on our site. We don’t control the settings of these cookies, so please check those websites for more information about their cookies and how to manage them. You may prefer to disable cookies on this site and on others. The most effective way to do this is to disable cookies in your browser. The ‘help’ function within your browser should tell you how. If you'd like to learn more about cookies and how to manage them, you can visit www.aboutcookies.org. 1. How does CourseKit work? CourseKit is suite of essential training courses for you to deliver online that are ready for your learners to use. Each CourseKit is packed with up to date, customisable content that can be tailored for your needs. 2. Can I customise my CourseKit content? Yes. Customisation is a key feature of CourseKit. Each CourseKit comes ready to use, alternatively you can decide to make as many changes as you like. Add your logo and colour scheme, upload your policies and resources or add new content screens, the choice is yours! 3. What software is used to develop and edit CourseKits? CourseKit is built using the Articulate Storyline authoring suite. We offer compatible versions for Articulate Storyline 2, 3 and 360. You will need a license for one of these versions if you want to customise the CourseKit yourself. Alternatively, the CourseKit team can provide a cost to make the changes for you. 4. Can the CourseKit team make the changes for me? Yes, if resource or time is an issue for you then the CourseKit team can provide you with a cost to make the changes for you. Get in touch and we will provide you with a document to capture your required changes. 5. Can I receive training to make changes myself? Yes, our CourseKit team is available to offer training to equip you to customise your CourseKits in-house. We can also offer expanded training packages to equip you with the skills necessary to build courses in other areas. Speak to our CourseKit sales team for more details of our Capacity Building training services. 6. Do I need a Learning Management System (LMS) to run CourseKits? No. However, an LMS is recommended if you want to track and report on CourseKit completions. If you don’t have an LMS but are keen to learn more, please get in touch with our CourseKit sales team for available LMS options. 7. Can I upload a CourseKit to my Learning Management System? Yes. CourseKit can be used with any SCORM 1.2 or SCORM 2004 compliant LMS. 8. Can I sell customised CourseKit content to others? No. The licence for CourseKit is for use within the purchasing organisation only. Please get in touch with our CourseKit sales team if you think CourseKit would be a great option for your clients. 9. Is there a licensing fee and on-going costs? No, there are no licensing fees or recurring costs. Each CourseKit is yours to own for a low one-off fee. You can purchase a single CourseKit or a discounted bundle. 10. Is there a limit on how many users can access my CourseKit? No. There no user limits for accessing your CourseKit. 11. Can I preview the CourseKits before purchasing? Yes. Simply contact the CourseKit sales team via the contact details below and we’ll set you up with a 14-day preview of the required CourseKit.